Hello, QuestBridge applicants! We’re so glad you’re here. We recommend you follow closely the requirements set for you through the QuestBridge organization. Materials and deadlines may shift depending on your College Match status. Wellesley does not require nonmatch finalists to submit a Common Application or Coalition Application. Should you decide to submit an application via the Common Application or Coalition Application, you may copy and paste the same essay submitted through the QuestBridge application onto your Common Application or Coalition Application. 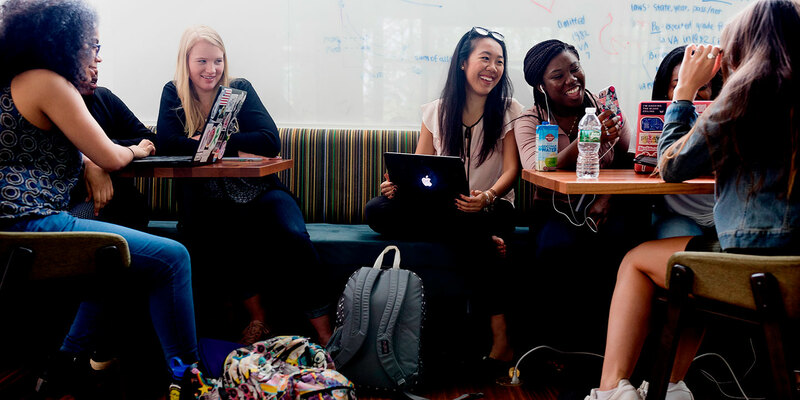 You’ll do a fair amount of writing on your QuestBridge application; you’ll also need to write a short, Wellesley-specific essay. See our application tips for advice on writing essays. We require your transcripts, two teacher evaluations, and a school report (including recent senior year grades) completed by your school counselor. Wellesley requires that you take either the ACT or the SAT. If you’re applying Early Decision Round I or Round II, be sure to complete the Early Decision Agreement with your application. Before submitting your application, you’ll need to list your parent or gaurdian’s email on the recommended page to ensure they sign their portion of the Early Decision Agreement. You must submit your portfolios, recordings, or presentations electronically using SlideRoom. QuestBridge applicants must select the non-Common Application program for the plan they are applying under. Please do not mail any materials to the Office of Admission. Submissions sent by mail will not be reviewed or returned.